We are excited to introduce our Leaders' Society, a group of young Native Americans who are inspired to have unique conversations and make an impact in their community. Monthly meetings and events help to empower this group to have a voice and to consider ways they can take positive action and become strong leaders for their tribes. One of our members, 17-year-old Carl, expresses his desire to be a catalyst for change when he says, “I want to actually make a difference in my community.” Our vision is for our youth to become leaders, taking charge of their environment and their future because of the skills they gained from being active members of this exciting program. The Leaders’ Society promotes four key values that represent the four winds of the medicine wheel; these are courage, humility, respect, and generosity. We believe it takes courage for young people to break the mold and make a positive impact in their community while pursuing personal goals for a bright future. Humility is needed to reach beyond one’s self and seek the common good and welfare of others, working together to strengthen and encourage one another. Our youth must cultivate respect for their cultural heritage and elders, appreciating the wisdom and guidance they provide. Lastly, a strong leader should develop a life of generosity by serving others and giving back to the community in tangible ways. The Leaders’ Society revolves around the three Native Hope pillars: education, protection of at-risk youth, and culture. In addition, we hope to instill the strength and dignity of their Native heritage as the core foundation that helps navigate them through each day and, ultimately, their future. We are excited to offer you the opportunity to sponsor one or more of our Native youth as they travel to Denver, Colorado, this summer for the 2017 National UNITY Conference, the largest Native youth gathering in the country, promoting personal development, citizenship, and leadership among Native American youth. 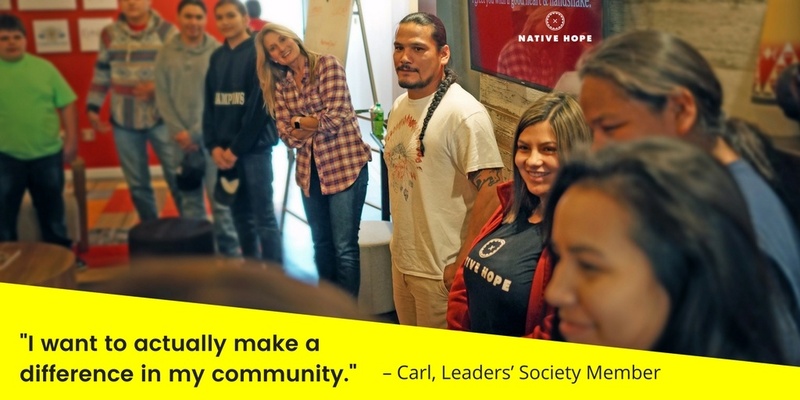 Your support will directly help fund the travel expenses of aspiring leaders, like Carl, giving them the opportunity to be inspired and empowered by joining together with like-minded Native youth from around the country. This is an amazing chance for our youth to see they are not alone, but instead are part of a contagious movement of hope dedicated to embarking on a future full of possibility. With a gift of $10 toward trip expenses, you’ll receive 3 raffle tickets for the drawing of a hand-stitched Native Hope quilt. 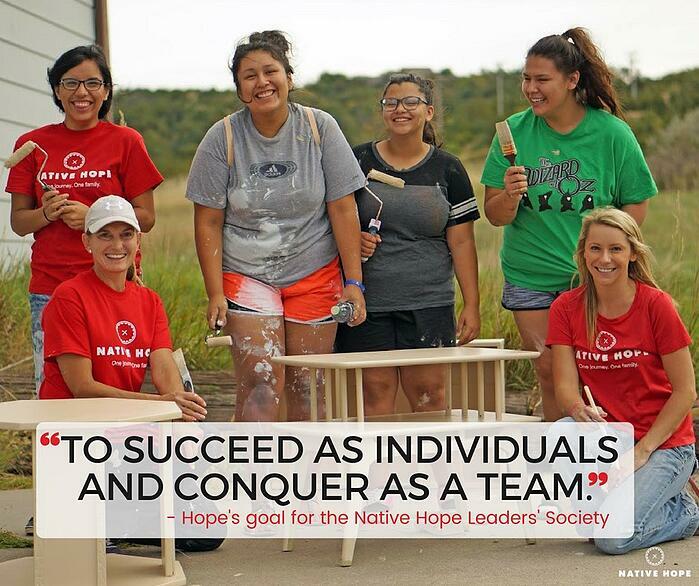 With a gift of $35 or more toward trip expenses, you’ll receive a Native Hope t-shirt as our personal thank you. With a gift of $100, you’ll receive a Native Hope drawstring backpack, t-shirt, and bandana, plus 10 raffle tickets. With a gift of $500, you’ll send 1 youth to the UNITY conference and also receive a hand-stitched Native Hope quilted keepsake. Thank you for joining our mission to nurture the strength and potential in every Native youth, empowering them with the confidence to use their voice and make a tangible difference within their very own communities.